Vintage in a Modern World: I'm late! I'm late!!! Still awaiting my dress in the mail, but in the mean time I have been browsing through Etsy again. 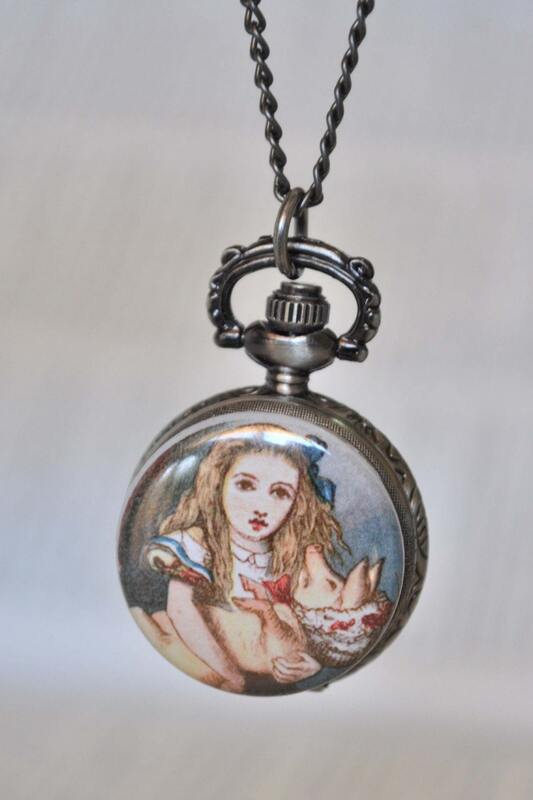 In honour of the new Alice in Wonderland movie coming out I have put together a list of my favourite pocket watches on Etsy (some I can afford and some I can only dream about...). 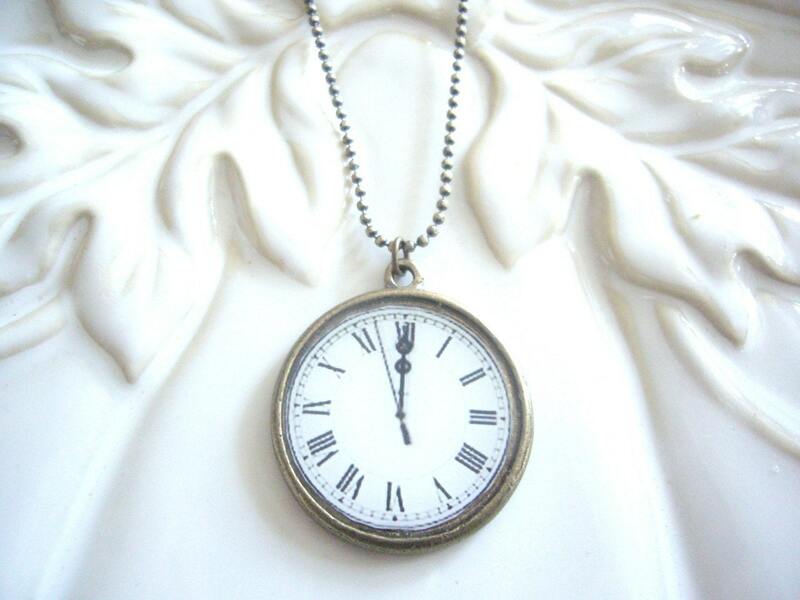 I couldn't find many pocket watches that were actually meant to be kept in a pocket so some of these are actually necklaces (but still super cute!). Cute and simple, not to mention at a very affordable price. I just thought this one was so pretty and an amazing deal at only a little over $10!!! Ok this one I am completely in love with. I love the contrast of the more masculine watch with the delicate pearls. This would make a lovely birthday present (hint hint). 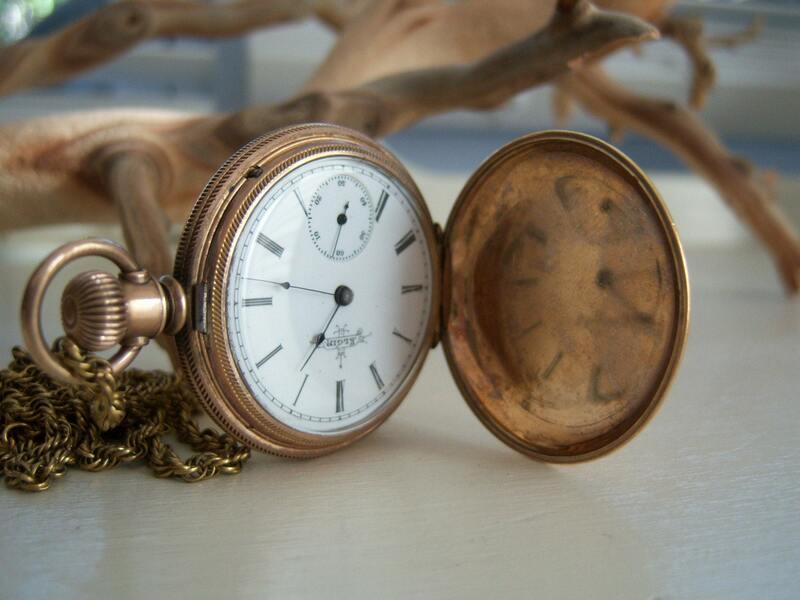 Technically not a watch but way too cute not to include on this list. Drool. I'm in love. This one in my favourite but the only way I could afford it would be if I sold a kidney. You don't really need both kidney's right? 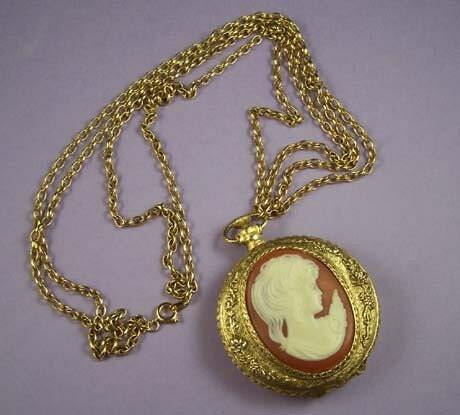 And last but not least, a watch that really ties in with the Alice in Wonderland theme. Completely adorable. What lovely picks! I especially love the last one- I am really excited about the movie, can't wait to see it. My mum has one very similar to the Ancient. 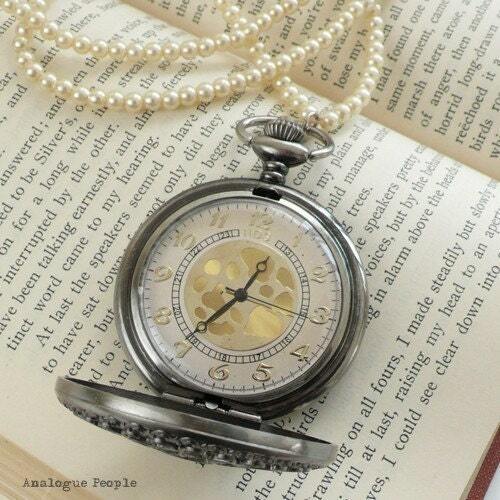 Vintage Style Pocket Watch Necklace in Black. 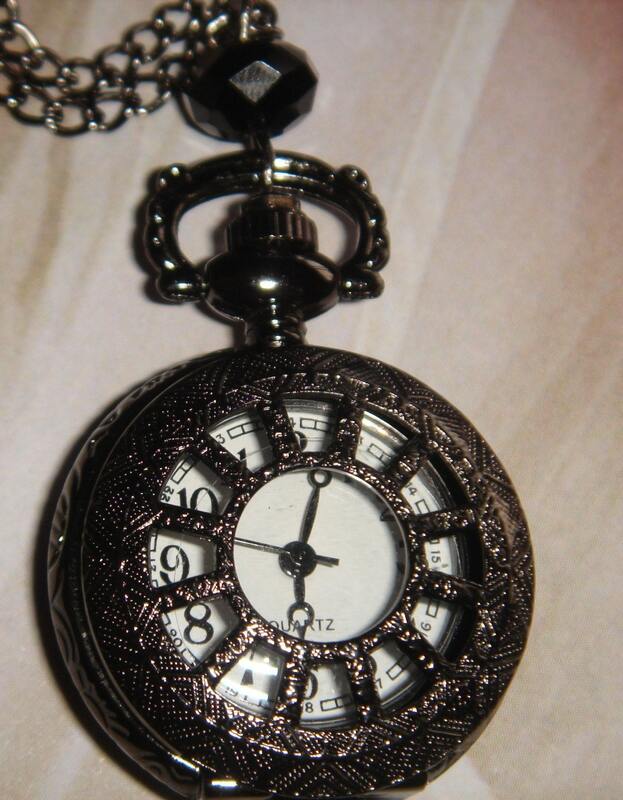 $10.50 that you posted - There is a jewellery shop in my town that sells them. My mum must have about 3 of them, but the battery has ran flat on all of them, and she can't get it anywhere for them :( but your'e right, they are very cute!